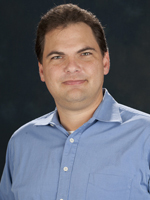 Robert Scharff is an associate professor in the Department of Human Sciences at The Ohio State University. He earned a PhD in economics from Duke University and a JD from George Mason University School of Law. Prior to his employment at Ohio State, Scharff was a regulatory economist at the U.S. Food and Drug Administration. Scharff’s research is focused on the economics of risk, with special emphasis on risk from consumption of food and other related products (e.g. food safety and obesity). He also is interested in the relationship between health and savings from a consumer behavior perspective. His research has been funded by USDA, the Association of Public Health Laboratories, The Produce Safety Project and the Ohio Agricultural Research and Development Center. Scharff serves as an Associate Editor for the Journal of Consumer Affairs and is on the editorial board of Journal of Food Protection. He enjoys teaching classes to both undergraduate and graduate students. An Economic Evaluation of a Molecular Subtyping System for Foodborne Disease Surveillance in the United States. Robert Scharff, Craig Hedberg, and the CIFOR working group. State Differences in the Cost of Foodborne Illness. Robert Scharff. An Economic Evaluation of Ohio’s Expanded Food and Nutrition Education Program. Robert L. Scharff and Hua Zan. Causes and Consequences of Restaurant Closures for Food Safety Violations. Robert L. Scharff and Margaret Binkley. Precautionary Savings and Health. Robert Scharff and Eunice Hong. Labor Market Decisions of Mothers with Chronically Ill Children. Hua Zan and Robert Scharff. Regional Differences in the Value of Statistical Life. Hua Zan and Robert L. Scharff. Eating Out and Related Patterns of Nutrient Consumption. Robert L. Scharff. Robert Scharff and Eunice Hong. Saving for Future Health Expenditures: Evidence from the Health and Retirement Study. 2014 ACCI Conference. Milwaukee, WI. (April 9 – 11, 2014). Hua Zan and Robert Scharff. Labor Market Decisions of Mothers with Chronically Ill Children. 2014 ACCI Conference. Milwaukee, WI. (April 9-11, 2014). Robert Scharff. 2014. Recent Estimates of the Economic Cost of Foodborne Illness. Michigan State Department of Food Science and Human Nutrition Seminar (Invited).East Lansing, MI (March 26, 2014). Jihee Choi and Robert Scharff. 2014. Does adopting color-coded restaurant grading system help foodservice staff make more efforts to ensure the food safety? EHE Student Research Forum. Columbus, Ohio (February 7, 2014). Robert Scharff. 2014. Behavioral Aspects of Food Consumption. Presented at Mountains of Data Summit (Invited). Columbus, OH (January 24, 2014). Robert Scharff. 2012. Economic Burden of Foodborne Illness Outbreaks. Presented at the FDA Pacific Regional Retail Food Seminar. Pleasanton, CA (September 18-20 2012). Hua Zan and Robert L. Scharff. 2014. The Heterogeneity in Financial and Time Burden of Caregiving to Children with Chronic Conditions. Maternal and Child Health Journal, 1-11. Robert Scharff and Sherzod Abdukadirov. 2014. FDA Misses the Mark with Food Labeling Rules. Regulation. 37(4): 34-38. Robert L. Scharff and Eunice Hong. 2014. Saving for Future Health Expenditures: Evidence from the Health and Retirement Survey. Consumer Interests Annual. 60. Tansel Yilmazer and Robert L. Scharff. 2014. Precautionary Savings against Health Risks: Evidence from the Health and Retirement Study. Research on Aging. 35(1): 1-27. Robert L. Scharff. 2012. The Economic Burden from Health Losses due to Foodborne Illness in the United States. Journal of Food Protection. 75(1):123-131. Robert L. Scharff. 2011. An Economic Evaluation of the PulseNet Surveillance System. Report prepared for the Association of Public Health Laboratories. Robert L. Scharff and W. Kip Viscusi. 2011. Heterogeneous Rates of Time Preference and the Decision to Smoke. Economic Inquiry. 49(4): 959-972. Robert L. Scharff. 2009. Obesity and Hyperbolic Discounting: Evidence and Implications. Journal of Consumer Policy. Vol. 32: 3-21. Robert L. Scharff, Joyce McDowell, and Lydia Medeiros. 2009. Evaluation of an Educational Intervention Using the Enhanced Food Safety Cost-of-Illness Model. Journal of Food Protection. Vol. 1, no. 72: 137-141. Robert L. Scharff, Joyce McDowell, and Lydia Medeiros. 2009. The Economic Cost of Foodborne Illness in Ohio. Journal of Food Protection. Vol. 1, no. 72: 128-136.